This is Zeke, short for Ezekiel, and he is 6 months old! Yay! 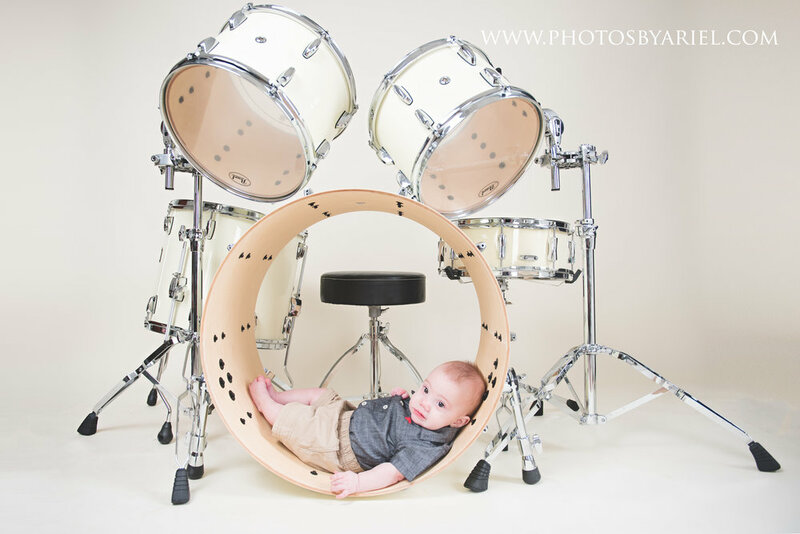 When his mom contacted me to see if it would be okay to bring in her husbands drum set I said, "Heck yes!" I love when photo sessions are unique to that family. So although it took some effort fitting their entire drum set as well as the fender guitar into their car and then setting it all back up for photos, I'd say it was worth it! 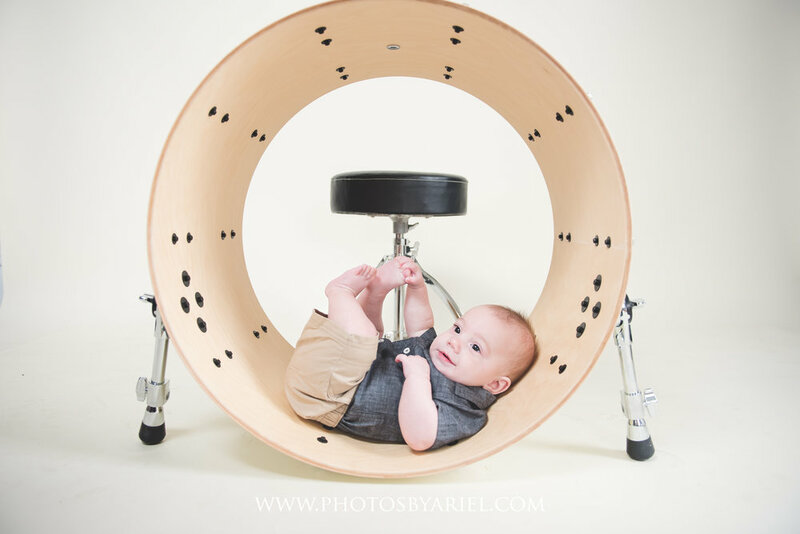 Check out the adorable sneak peeks from Zeke's 6 month session!